For thirteen centuries, Bulgaria – the cradle of Slav culture, the land of Orpheus and Spartacus has given the world men of great achievements. That is the land of Orpheus and Spartacus ,mysterious Thracian treasures and burial tombs, magnificent fresco and many brilliant examples of ancient applied arts. 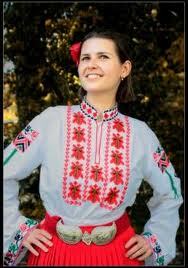 However, one of the biggest treasures is the Bulgarian folklore, well known all over the world. 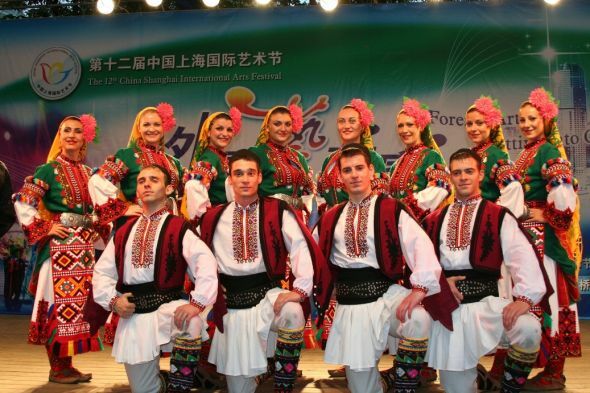 The classical Bulgarian folklore bears all the characteristics of a rich and still vital cultural system. In regional ties, it developed in the lands inhabited by the Bulgarian ethnos, it took shape on a territory in southeastern Europe which stretches beyond the frontiers of present-day Bulgaria. Bearer of this culture is also a numerous diaspora living in southern Russia, in the Ukraine and Moldova, as well as in the region of Banat in contemporary Romania. The intensive studies carried out in the past decades have shown the strong continuity of classical Bulgarian folklore and the spiritual life of the ancient Thracian, as well as complex transformation of the Slavonic and Proto-Bulgarian tradition that took place with particular intensity in the 9th century after their conversion to Christianity and the establishment of the Slavonic-Bulgarian script. The rich documentation, gathered in the 19th and 20th centuries, demonstrates that the Bulgarian folklore connects deeply the spiritual growth of the Bulgarians with the cultural traditions of the other Balkan nations, irrespective of their religious identification and independent ethnic history. At the same time, this folklore reveals, intrinsically, a profound relationship with the life of the Bulgarian ethnos, in terms of both concrete daily experience and historical destiny. On the one hand, it is displayed as a spiritual expression of an agrarian type of sociability, where the central point is to recreate the annual farming cycle and the human life cycle in a cultural tradition based on folklore ritualism. On the other hand, it is permeated by the historical time of the Bulgarians; the interpretation of this time has found its most imposing expression in the Bulgarian heroic epic, which is kindred to the Serb’s epos and commensurate with sagas like “Kalevala”, the Russian bylini epic, the epic corpora of some Asian and Caucasian peoples. Both aspects of the Bulgarian folklore are based on a mythology; which underlies all – the beliefs in vampires and goblins, the fascinating characters. Bulgarian folklore is well known all over the globe and is not a surprise to find a Bulgarian folklore clubs all over the world from The USA and Canada to Australia.There are several festivals held every year in Bulgaria, as the one in Koprivstica representing the authentic Bulgarian folklore.